Salt print photograph view of Cleveland, Ohio in late 1850s. This view shows Public Square center left, with Superior Avenue, the main commercial street in Cleveland, center middle and right. 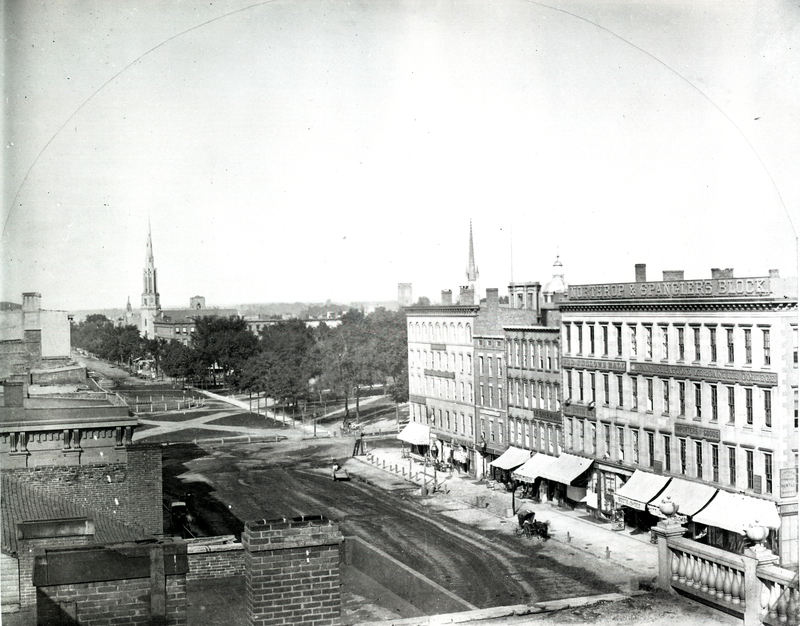 This is what the city looked like when Lincoln visited in 1861 on the way to his inauguration. In April, 1865 Lincoln's catafalque would be displayed in Public Square, in the area bounded by white posts, just beyond the area that has walkways crossing to form an X. The statue memorial to Oliver Hazard Perry, clearly visible in the photos of Lincoln's catafalque in 1865, is not yet installed on Public Square in this view.